Spray 13x9–inch baking pan with no-stick cooking spray; set aside. Combine 1/2 cup Cinnamon Sugar Butter Spread and marshmallows in 4-quart saucepan; cook over medium heat, stirring occasionally, until melted and smooth. Stir in cereal; mix until well coated. Pour cereal mixture into prepared pan; press down evenly. Cool completely. Combine powdered sugar and Cinnamon Sugar Butter Spread in small bowl; mix well. Add enough milk for desired drizzling consistency. Drizzle over cooled bars. Let set before cutting. 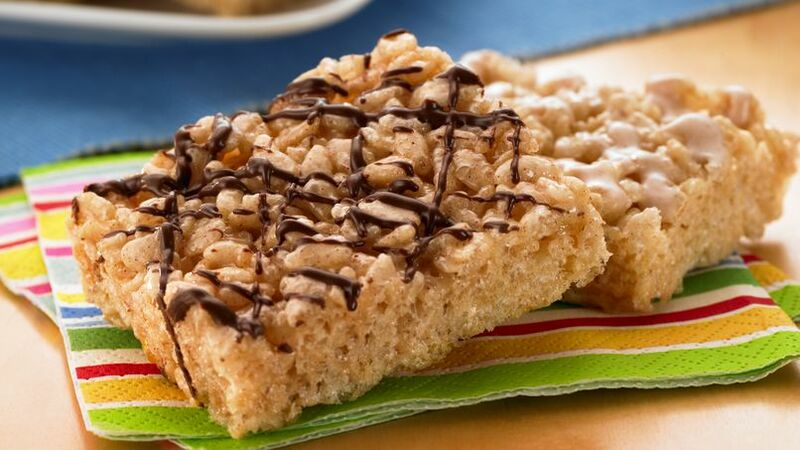 Chocolate Drizzled Cinnamon Crispy Treats- Omit powdered sugar drizzle above. Combine 1/2 cup real semi-sweet chocolate chips and 1 teaspoon shortening in small microwave-safe bowl. Microwave on MEDIUM (50% power) 1 minute; stir. Continue microwaving, stirring every 15 seconds, until mixture is melted and smooth. Drizzle over cooled bars. Let set before cutting.